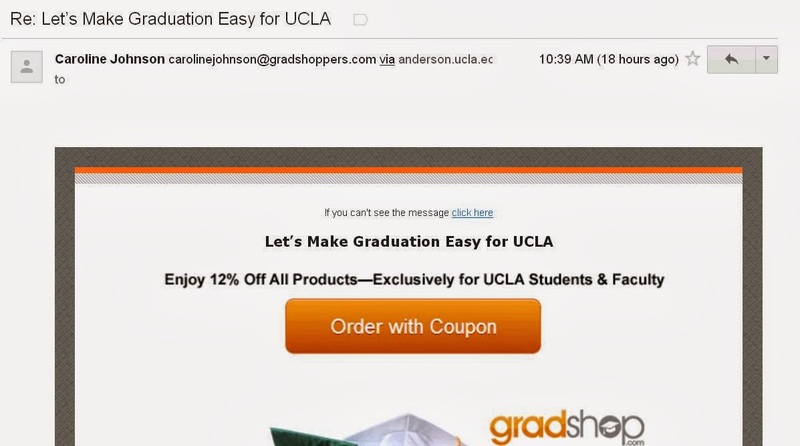 Another reminder that when you get emails – such as the one above – that seem to have some official connection to UCLA and invite you to click here, download here, etc., be very cautious. The one above may just be harmless commercial spam but the best thing to do is to delete it. It clearly is not from a UCLA source. Clicking and downloading may infect your computer and cause damage to it. Previous Previous post: One report airs some dirty laundry. Another doesn’t air. Next Next post: Don’t worry about us here at UCLA! Take all the time you need!